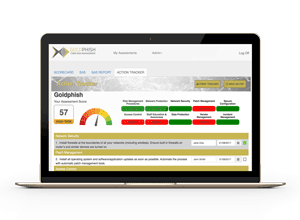 GoldPhish® Security Assessment Survey (SAS) is a cloud-based cyber security assessment platform. Send, receive, track and analyse assessments of your internal business units, clients or third party vendors to better understand your risk. By focussing on basic cyber hygiene, your business will be better protected from most common cyber threats.